Fermentation is a process that can yield many results from yogurt to kombucha to wine. Wisconsin is famous for one of the most well known results of fermentation: beer. 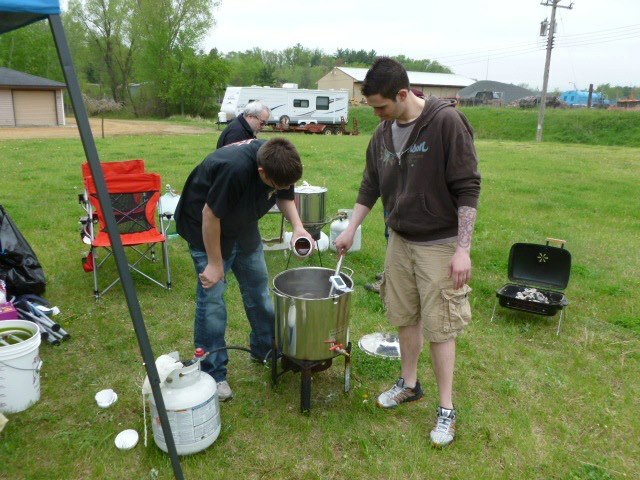 At the Beverage Artisan, LLC in Menomonie on May 2 for National Homebrew Day, beer is exactly what the Menomonie Homebrew Club will be focusing on. Starting at 10 a.m. the club will start staggered beer brewing demonstrations at their Big Brew event. Members will be bringing samples of their own brews and wine for people 21 and older to taste. Menomonie Homebrew Club president Jake Wolstad believes that homebrewing is a hobby that can be enjoyed by everyone. A phrase commonly used by homebrewers is, “If you can make soup, you can make beer.” Wolstad agrees. “Literally you can buy cans of ingredients and dump them in, and boil it and cool it, and that’s all you have to do,” Wolstad said. The Menomonie Homebrew Club puts on this annual event as a way to advertise their club, but it is also an opportunity to reach out to the community and give anyone who has curiosity about homebrewing or fermentation a chance to socialize with club members. University of Wisconsin–Stout’s Brewing Craft and Science Association, which focuses on learning about craft brewing, will also be participating in a demonstration at the Big Brew. President Daniel Byerly aims to prove that the process of brewing craft beer does not need to be expensive or difficult. No matter what your skill level, if you appreciate beer and are curious about the process of homebrewing or fermentation, the Big Brew is a way to get your foot in the door. Each fermentation process takes practice and patience, but Wolstad manages to look at homebrewing with a positive approach.